Pikachu and Friends Gear Up for Halloween. Check out the spooky new plush and other fun accessories in the Eerie Delights collection at the Pokémon Center. You can tell the Halloween season is upon us when even the Pokémon don frightening costumes and begin their celebration. 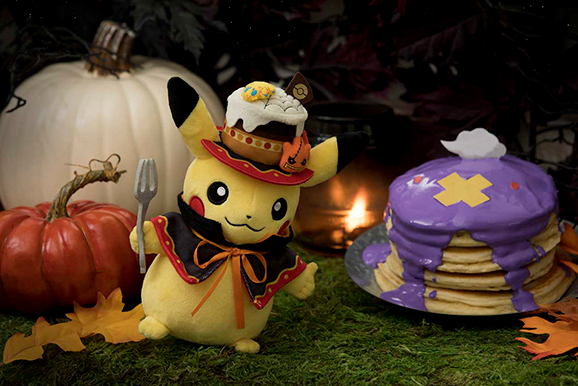 You can partake in the festivities, too, with the new Halloween Collection at the Pokémon Center, which features a multitude of hauntingly fun items in a variety of themes! The frightfully fun Eerie Delights collection features five plush Pokémon—Pikachu, Sylveon, Mimikyu, Gengar, and Pumpkaboo—each wearing an elaborate disguise that is sure to get anyone into the Halloween spirit! And if you like your Pokémon a little more portable, choose from plush key chains of Umbreon, Sableye, and Banette in their own unique costumes. 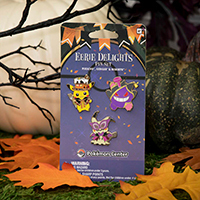 In addition to the plush assortment, Eerie Delights features a pin set with Pikachu, Gengar, and Mimikyu wearing their party outfits. Pokémon Trading Card Game players should also check out the two Eerie Delights playmats that are sure to add some tricks and treats to their matches. While you’re in a spooky mood, don’t miss out on the Pokémon Center’s new Pumpkin Pikachu Halloween line of goods. This lovable design features Pikachu, who couldn’t look happier as it emerges from a jack-o’-lantern that looks a little familiar! Wearing a striped witch’s hat and surrounded by a cornucopia of delicious treats, Pikachu is clearly ready for the holiday. 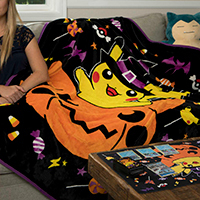 Once again, Pokémon TCG players can add seasonal flair to their games with a Halloween playmat and card sleevesfeaturing the Pumpkin Pikachu design. 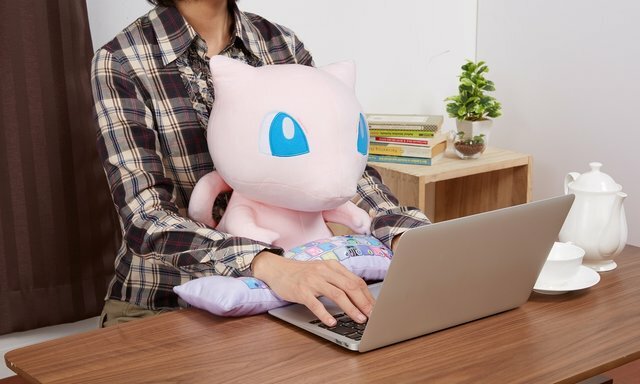 And if that gets a little toochilling, just slip on a pair of Pumpkin Pikachu Halloween socks and curl up with the matching fleece throw. With so many Halloween goodies to choose from, Pokémon fans are bound to have a scary good time this season at the Pokémon Center! Bewear, US Trainers! 😉 Pikachu and friends are sporting spooky costumes in the (adorably) creepy Eerie Delights collection of plush, key chains, pins, and #PokemonTCG playmats at the #PokemonCenter!